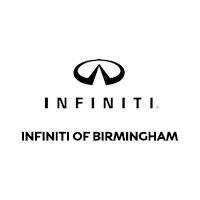 INFINITI OF BIRMINGHAM helps make the INFINITI lease-end process easy for any client who has an INFINITI Financial lease, no matter where you leased your INFINITI. We start by providing you with a FREE inspection to ensure a smooth process and to eliminate surprises. Our team of lease-end experts, working together with INFINITI Financial, will show you all the options, explain things in detail, so you will feel comfortable that you are making the best possible choice for your next vehicle. Please contact us today to take advantage of our First Class Lease program…and it’s FREE! Our goal is to provide you with a seamless transition towards your future driving needs. INFINITI OF BIRMINGHAM is here to help make the INFINITI lease-end process easy for any client, no matter where you leased your INFINITI. We start by providing you with a FREE inspection to ensure a smooth process and to eliminate any surprises. Our team of lease-end experts, working together with INFINITI Financial, will show you all the options and explain things in detail so you will feel comfortable you are making the best possible choice for your next vehicle. RETURN YOUR CAR TO AND DRIVE HOME IN A NEW INFINITI. This is convenient, easy and you will have the latest and greatest INFINITI for your very own. All the models are here and ready to see and drive. Just schedule a time for us to look at your current car and we will get to work for you. Buying your own INFINITI at the end of the lease is a great way to continue the benefits of the car you already know and love. We are here and ready to help with excellent financing options and even extended protection plans for continued worry-free driving. RETURN YOUR LEASED CAR TO US. We will make it hassle-free and quick for you. Just schedule a time with us, and we will take care of all the necessary paperwork.